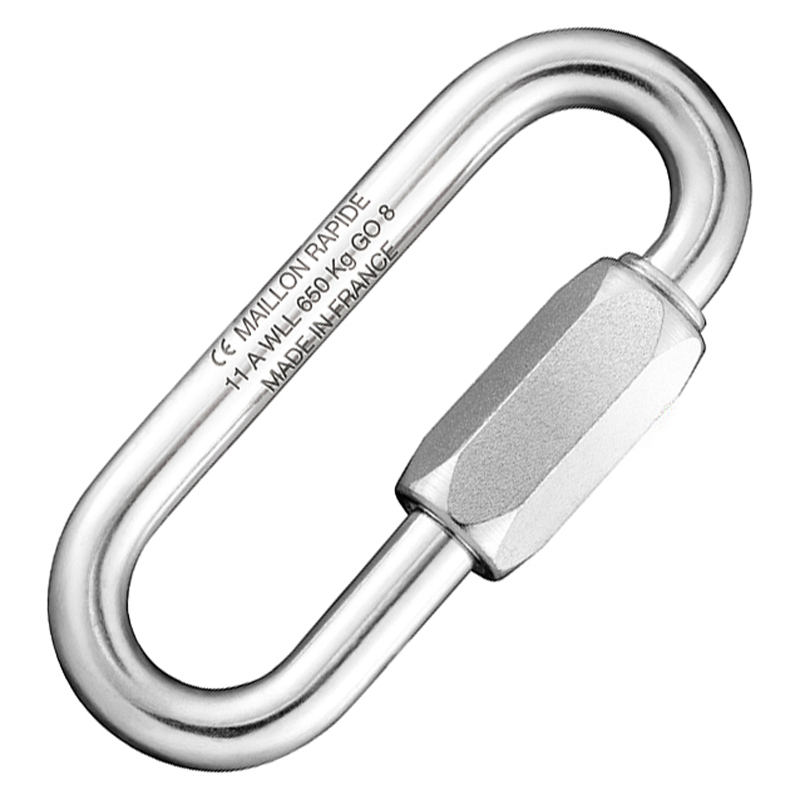 Quick Links offer a strong and secure method of connecting parts with the principle of a chain link fitted with manual nut opening. They are used widely in different industries such as marine, aeronautics, agriculture, architecture, military, parachuting, paragliding. 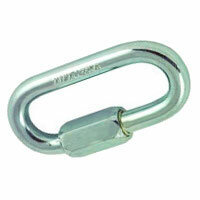 As UK distributors for Maillon Rapide we are pleased to offer their range of world respected, high quality Quick Links. 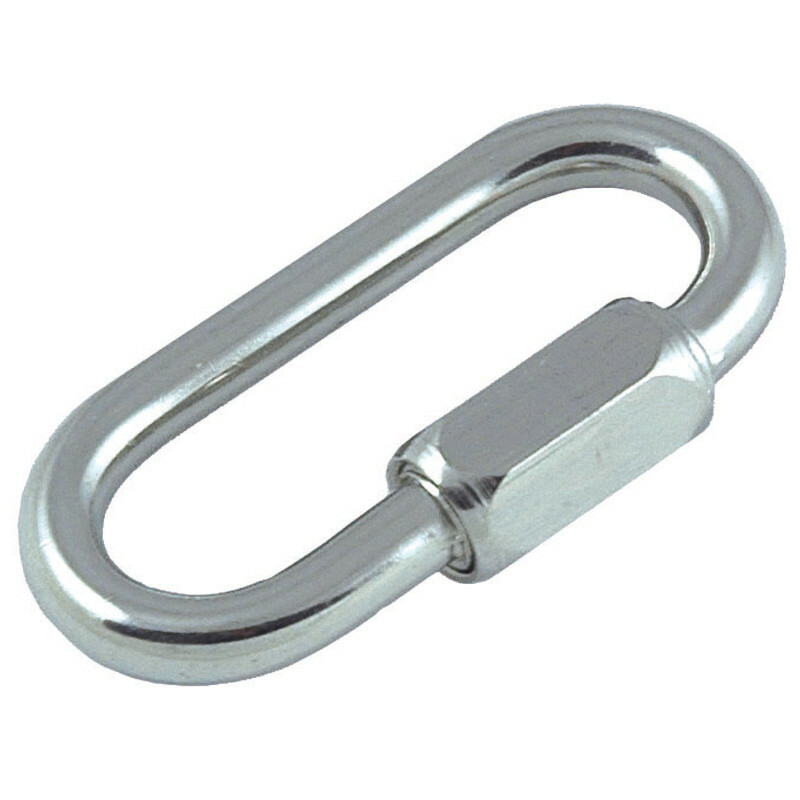 Available from stock in AISI 316 stainless steel in Standard, Large Mouth and Delta shapes in sizes from 3mm up to 16mm with break loads from 800kg to 22,500kg. Other types, shapes and sizes are available on request subject to minimum order quantities e.g. Pear, Square, trapezoid, twisted. The Large Mouth Quick Link with its wider jaw opening allows easier connection of wider parts while the Delta Quick Link is ideal for attaching webbing straps. 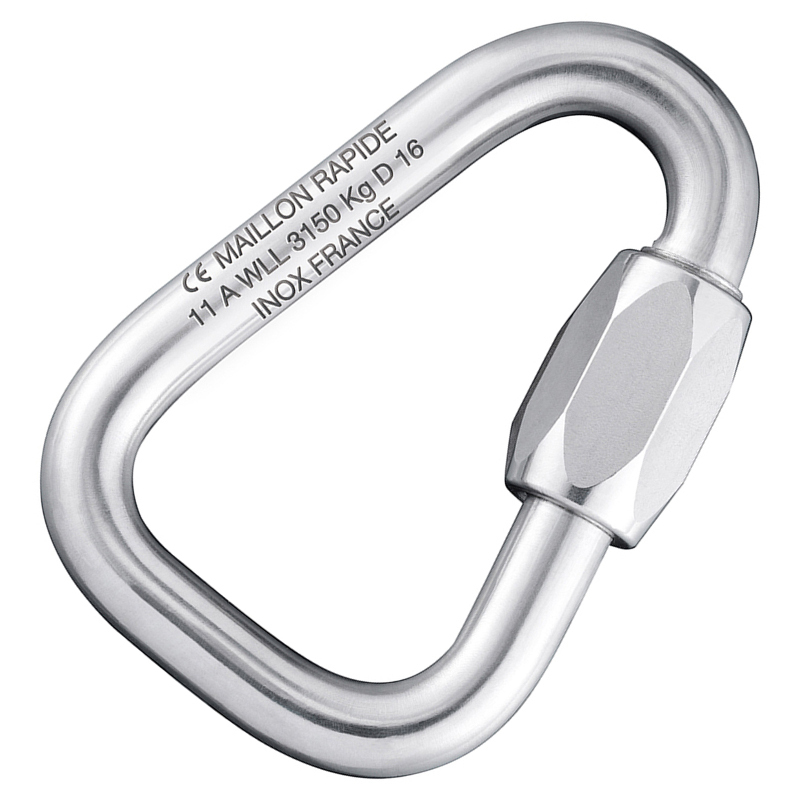 The maximum permitted working load is marked on each Maillon Rapide as the working load limit (WLL) in Kg with a safety factor of 5 defined according to product safety. CE Marking available on request. 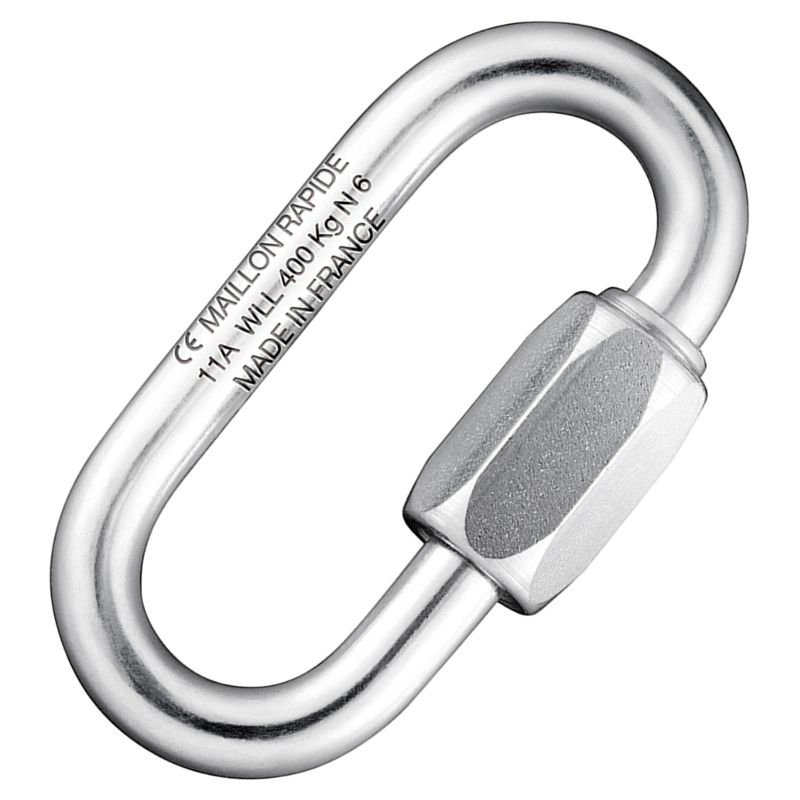 We also offer an unmarked standard range in AISI 316 stainless steel or galvanised steel offering an economical alternative for lower load, non-safety critical applications in sizes 3.5mm up to 12mm.